Granny Ripple Stitch Video Tutorial and Free Printable! 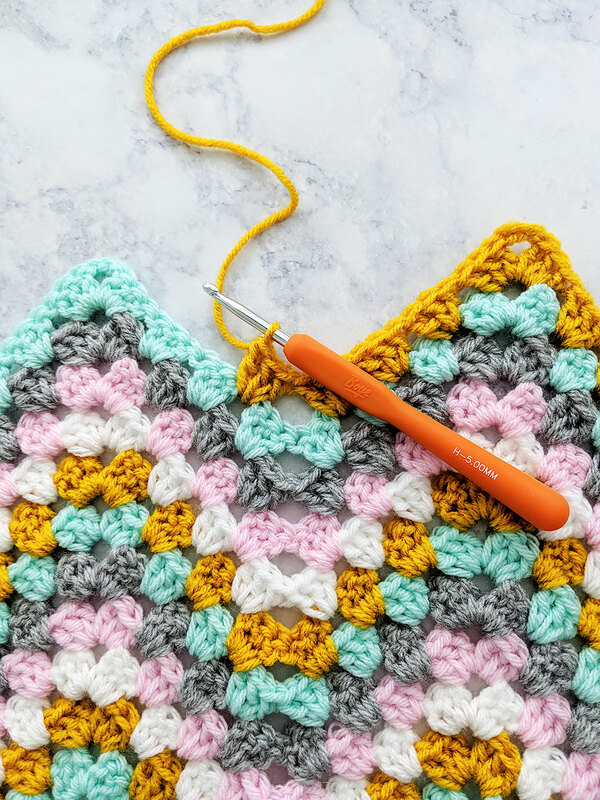 Learn to crochet the Granny Ripple Stitch in this step by step video tutorial, and then use the free printable to calculate your custom foundation chain! Hello and welcome to my blog! 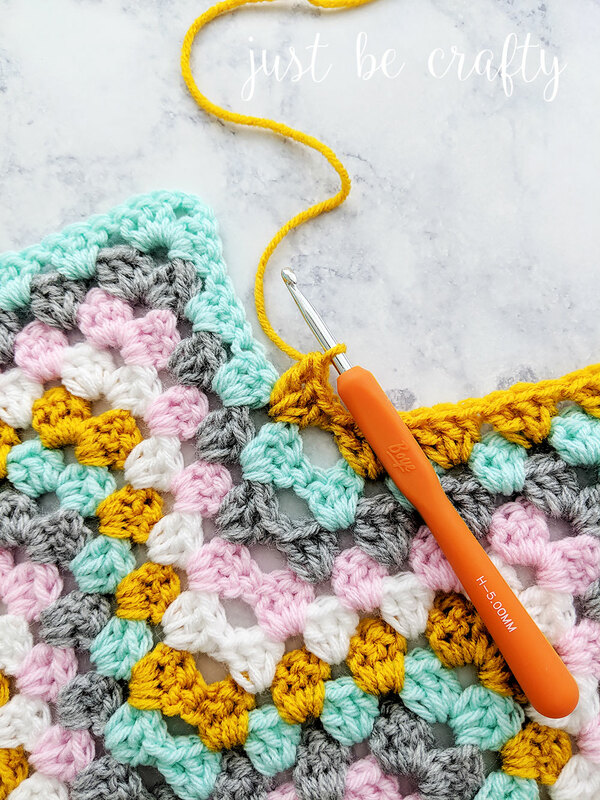 Today’s video tutorial is all about how to do the Granny Ripple Stitch. 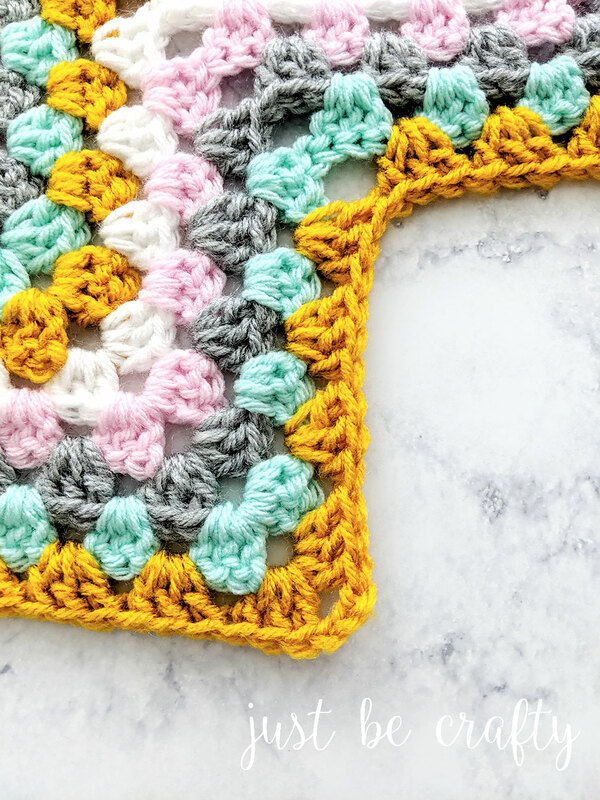 The Granny Ripple Stitch is a fun design that features clusters of three double crochets that forms a zig-zagged or rippled fabric. This ripple design consists of four clusters leading up to each peak and four clusters leading down to each valley. How many chains to get started? The above question is one of my most commonly asked! 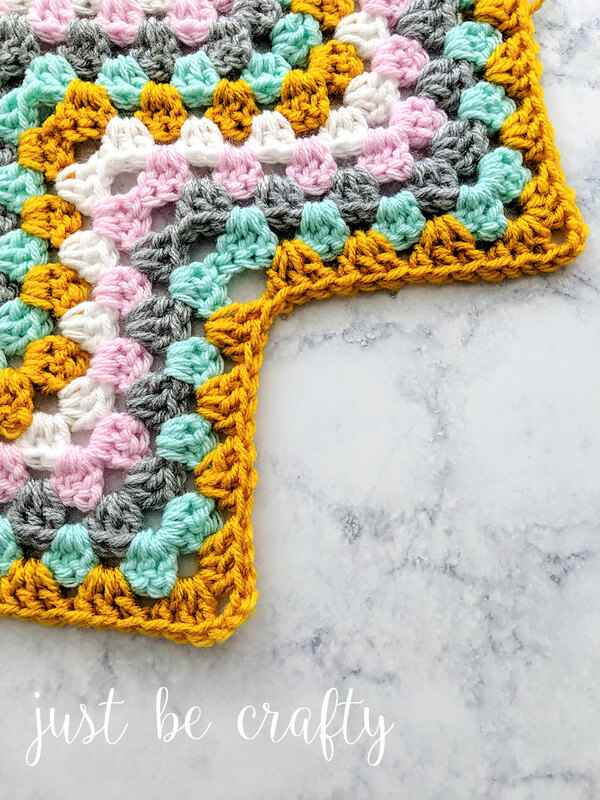 Since posting the Granny Ripple Stitch photo tutorial I have received many questions on how to figure out the correct amount of chains for blanket size xyz. To make things easier, I have pulled together the following information in this post so you’ll know exactly how many chains you need for a blanket of ANY size! How to easily calculate your foundation chain for absolutely ANY blanket size! Print it out and keep it handy! Use the cheat sheet along with the full pattern photo and video tutorials. The below chart lists common blanket sizes measured in inches. The last column lists suggested foundation chain amounts to help you achieve the corresponding blanket size. *Gauge: Chain amounts are based on use of a 5.0mm crochet hook and a 4-medium (or worsted) weight 100% acrylic yarn. Each repeat equals approximately 6 inches. Not finding the specific blanket size for your needs in the above chart? No problem! See below for step by step instructions on how to calculate your foundation chain amount in just 5 simple steps – for a blanket of ANY size! This Granny Ripple design is worked in multiples of 24 chains, meaning each repeat is 24 chains. Not sure how many repeats you need and/or where to start!? No problem! Use the instructions listed below to help calculate YOUR unique foundation chain! STEP 1: Make a swatch. Start with a foundation chain of 46 and complete at least 6 rows of the Granny Ripple Stitch. Crochet along with me as I make a swatch in the video tutorial! STEP 5: Multiply calculation from Step 4 by 24 (which is equal to one repeat). Then subtract 2. The last repeat of the row only requires 19 chains (So that subtracts 5 chains from our grand total). To start the row we need to add 3 chains, which counts as the first double crochet. If we subtract 5 and add 3, that gets us to a difference of subtracting 2! Now that you have your foundation chain total, you’re ready to crochet your blanket! 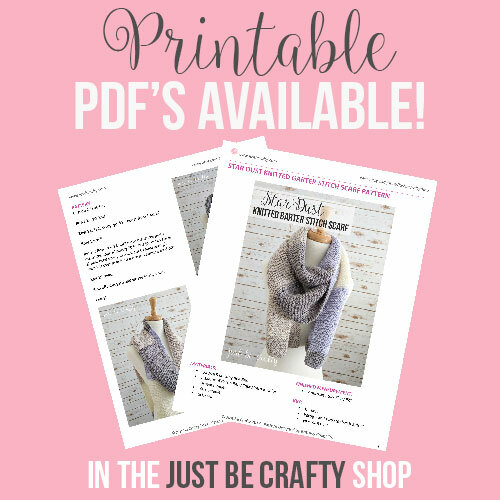 Click Here for your FREE Granny Ripple Stitch Foundation Chain Cheat Sheet Download! Wonderful tutorial!!! From start to finish, your voice, music and video are perfect. It’s a pleasure to watch and learn along with you. Your narratives and directions are easy to follow and my project is turning out just like yours. I can’t wait to watch more. Thank you and keep up the great work. Great tutorial! I’m teaching a friend how to crochet and I know your tutorial will really be of help to her. It will be just like my sitting next to her and explaining the process. Thank you for all your time and effort. and then maybe a pink border of some kind!! Wish me Luck! Hi Sherri! Thanks so much for stopping by! That sounds beautiful, I just know the young couple will LOVE your blanket. Happy crocheting to you! I would love to see your finished blanket, feel free to tag me at @justbecraftyblog if you follow along on Instagram or share to the Just Be Crafty Blog Facebook page! !